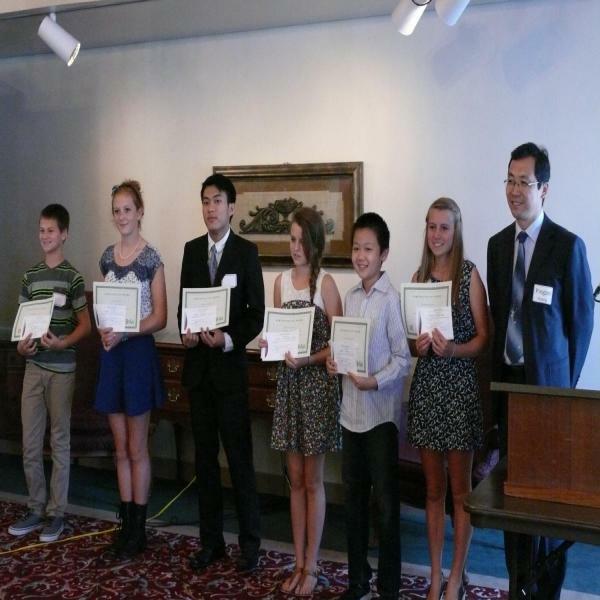 Congratulations to the 2013 Confucius Institute Speech Competition Winners! 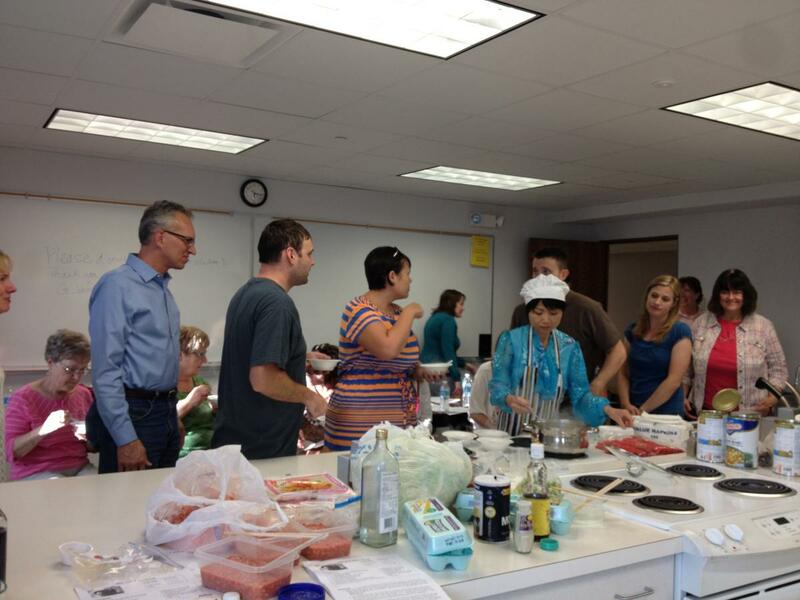 As part of the annual Chinese Culture Festival hosted by UNL Confucius Institute, a free Chinese cooking class – open to UNL students, faculty and staff only -- attracted many participants. 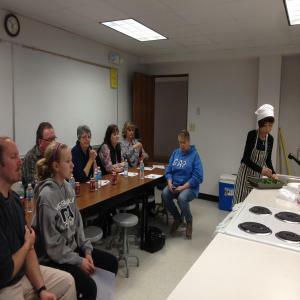 The September 23 class featured eggrolls and hot and sour soup. 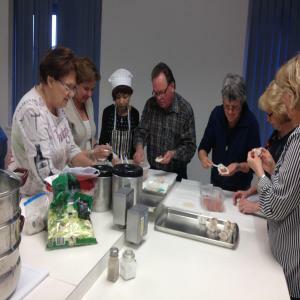 The participants enjoyed the hands-on experience and food sampling. 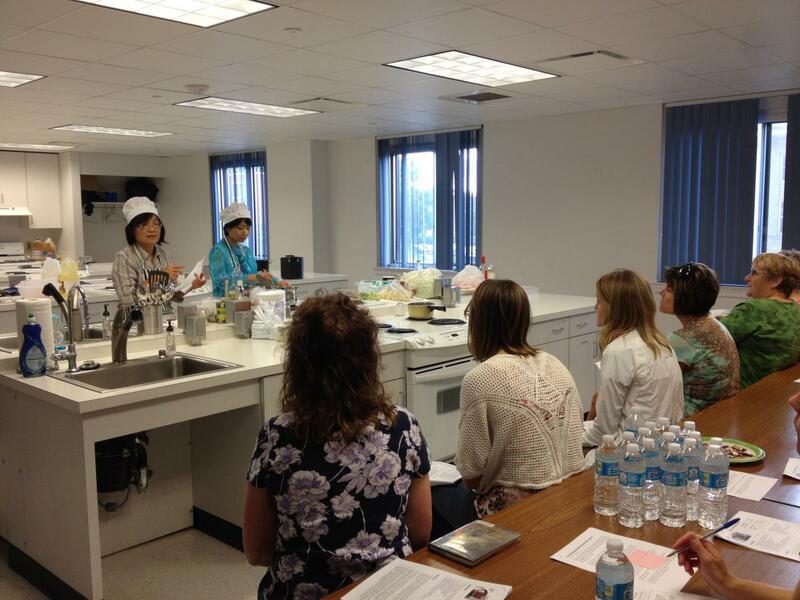 The next Confucius Institute cooking class will be on December 2. 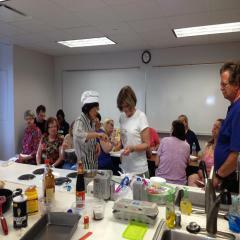 The recipes for the class will be Mongolian beef and orange chicken. Please call (402)472-5370 to register. Join the Confucius Institute for events celebrating Chinese culture during the 2013 Culture Festival! Activities range from a youth talent contest in Omaha on August 31 to the Lily Cai Chinese Dance Company performance on October 2. Most events are free! Download a flyer and plan to join us in September! Registration deadline has been extended to September 13! City Campus Student Union on September 22, 2013. Deadline for registration and speech submission has been extended to September 13, 2013. Download the speech competition flyer here and the registration form here. Contact us at 402-472-5370 or confuciusinstitute@unl.edu for questions or assistance. Join the Confucius Institute for screenings of two films during the 2013 Chinese Culture Festival. The Culture Festival is taking place throughout the month of September - CLICK HERE for more information. A single father with terminal cancer prepares to face death, and struggles to ensure that his autistic son will be well cared for after he is gone in this emotionally-charged family drama starring Jet Li. David was only seven when his mother died. Now, at 22, he still doesn't seem to register that she is never coming home. His father Sam (Li) works at an aquarium. With the help of their benevolent neighbors, David has managed to give his son a good life. But now Sam is dying, and soon David will be all alone. As his condition rapidly deteriorates, Sam attempts to provide David with the tools and lessons he will need to function independently in society. Friday, September 27 - 5:00 p.m.
Saturday, September 28 - 7:25 p.m.
Sunday, September 29 - 1:00 p.m.
Monday, September 30 - 7:10 p.m.
Tuesday, October 1 - 5:00 p.m. In the wake of saving Chen Village from the malevolent Fang Zijing (Eddie Peng) and his terrifying steam-powered leviathan, horned hero Lu Chan (Jayden Yuan) prepares to marry his beautiful mentor Yuniang (Angelababy), but finds their wedding plans disrupted when her former fiancée returns to with a major vendetta, and a ruthless army of henchmen. Co-starring Tony Leung Kar-Fai. Friday, September 27 - 7:05 p.m.
Saturday, September 28 – 5:15 p.m.
Sunday, September 29 - 3:05 p.m.
Monday, September 30 - 5:00 p.m.
Tuesday, October 1 - 7:05 p.m.
artist Tai Meng Ieong. Tai Meng Ieong is best known for flower and bird paintings. September 28 from 3-6 pm. 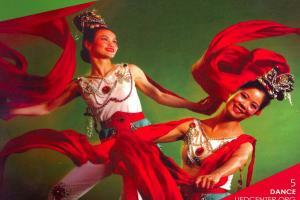 Elegant, sensual, and captivating, Lily Cai melds ancient Chinese traditions with modern dance in a marriage of styles. The Dynasties and Beyond performance embarks on a dazzling journey from ancient dynasties to remote cultures, from elegance of court dances to the dynamic brilliance of contemporary ribbon dancing. With vivid choreography and style, Lily Cai reveals the strength, beauty, and complexity of Chinese women, from the distant past to the present. through the Lied Center for Performing Arts. 2013 OCCA Youth Chinese Talent Contest! OCCA Youth Chinese Talent Contest is the 3rd year hosted by Omaha Chinese Cultural Association (OCCA) and sponsored by Confucius Institute at University of Nebraska-Lincoln. The purpose of this contest is to encourage our children having more fun learning Chinese, and enhance interesting of Chinese culture. and email the forms back to Jun An at junan66@hotmail.com. at the UNL Recreation Center. Preliminary competitions are September 1 and 8. Final round of competition will be held September 15. Download the rules and register below to reserve your place. CSSA is hosting a Lincoln Ping Pong Competition from September 1 – 15, 2013. The competition will take place at the University of Nebraska-Lincoln Recreation Center located at 841 N 14th Street. This event is sponsored by Confucius Institution. Registration Deadline: August 30, 2013. Have you ever wanted to learn to speak Chinese? Perhaps you would like to further your knowledge of the beautiful language. Enroll now for our fall classes. 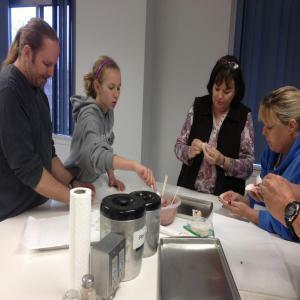 Adult classes are held weeknights and classes for children are held Sunday afternoons. Download the class flyer for additional information. Classes are held in Lincoln and in Omaha. Register now to save your spot! Classes are also held on the Bellevue University campus in Omaha. Download a flyer here for details. Final Cooking Class of Spring Semester! Moo Shoo Pork is a popular dish in North American Chinese restaurants. Some say that the name comes from “mu-xi”, the sweet osmanthus tree in Chinese. The blossoms of the sweet osmanthus tree resemble scrambled eggs. It was developed from a Northern China stir-fried dish. In the traditional recipe, pork, scrambled eggs, wood ear (black) mushrooms, and daylily buds are commonly used. What we have in restaurants, and what we will make in the class, are modified recipes developed in the States, with more fresh ingredients, like shredded green cabbage and carrots. The dish is served with thin pancakes instead of over rice. Pepper Steak is a dish originated from Chinese Fujian cuisine, where it was known as green pepper with shredded meat (beef or pork). This dish consists of sliced steak, bell peppers and onions. It is easy to make and tasty. We will also make the Spicy Pepper Steak in class. In the coming class on Monday, May 20, you will learn how to cook Moo Shoo Pork and Pepper Steak with our detailed recipes, instructions, demonstrations and hands-on experience. 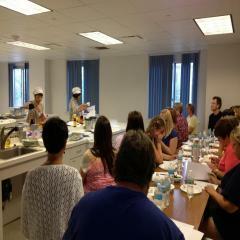 You will be given the opportunity to taste the food you and other participants of the class make. Instructors from the Confucius Institute will teach the class. Please contact Angela Rystrom to register for the class. A downloadable flyer is available here. Join us at Chinese Corner! Want to speak Chinese? Learn more about Chinese culture? Join us for Chinese Corner! The UNL Confucius Institute is holding Chinese Corner every Wednesday evening from 6:00 pm to 7:00 pm at UNL Nebraska Hall, Room 130. Three instructors from the Confucius Institute will host the event. Chinese Corner is great for students and others interested in Chinese language and culture. Participants can pick up some Chinese phrases, get closer to ancient Asian culture, and make new friends! Don’t hesitate! Come and join in us! It’s FREE for everyone! For more information, browse our website at http://confuciusinstitute.unl.edu, or check out our Facebook page at www.facebook.com/confuciusunl. 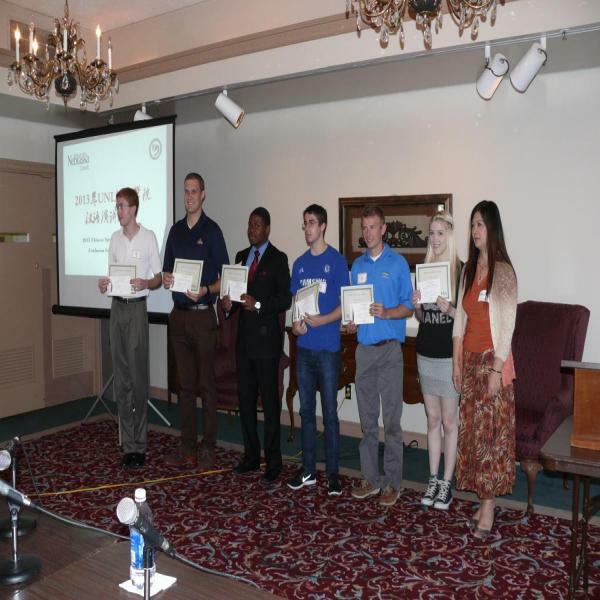 Applications for the 12th "Chinese Bridge" World Language Competition are being accepted now. See the flyer for more information and to complete the registration form. Additional information about the competition and speeches is available. The 2013-2014 Chinese Government Scholarship Program has started its application process. The application information can be found via the website http://www.sino-education.org/english/studychinese.htm, and the deadline for application is April 30, 2013. If you need further information and/or have further questions, please feel free to contact Mr. Liu Jiangyi (via jiangyiliu@yahoo.com.cn). 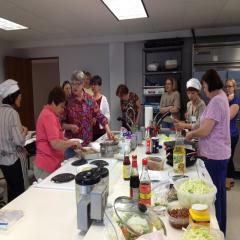 Participants enjoy making Moo Shoo Pork and Pepper Steak at the May 20 cooking class. Classes will resume this fall. 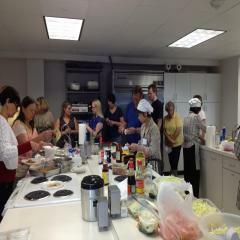 Participants in April cooking class held by Confucius Institute are making Sui Mai dumplings and two vegetable dishes. Last cooking class for the semester is on Monday, May 20. We are going to talk about a group of pictures about Chinese folk arts and explore the Chinese Culture. CI teacher Robert Liu will teach you how to remember Chinese characters in a special way. We will talk about the development the Chinese characters and the coincidence between western stories and Chinese characters. The UNL Confucius Institute and Chinese Students and Scholar Association (CSSA) will jointly offer a free lunch-hour workshop designed to help UNL faculty and staff pronounce Chinese names and speak basic greetings in Chinese. The workshop will be held from noon to 1 p.m. on Thursday, April 4, at the Regency B room in the Union and will be led by Pingan Huang, associate director of the UNL Confucius Institute. Huang will talk about Chinese names and everyday greetings in Chinese, with a focus on pronunciation of some common but hard-to-pronounce names. Participants will be divided into small groups to practice these names and greetings with the help of some volunteers from Confucius Institute and CSSA. The workshop is free and open to all faculty, staff and students. Simple snacks will be provided. Space is limited to 40 people and registration is required through email to Angela Rystrom at arystrom2@unl.edu. 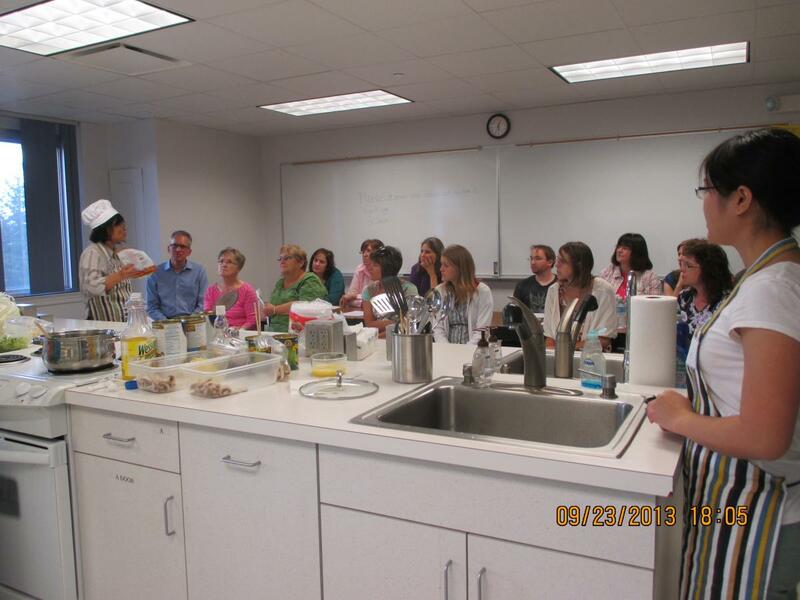 The March cooking class organized by the Confucius Institute at UNL featured two items: Chicken with Snow Peas and Crab Rangoon. 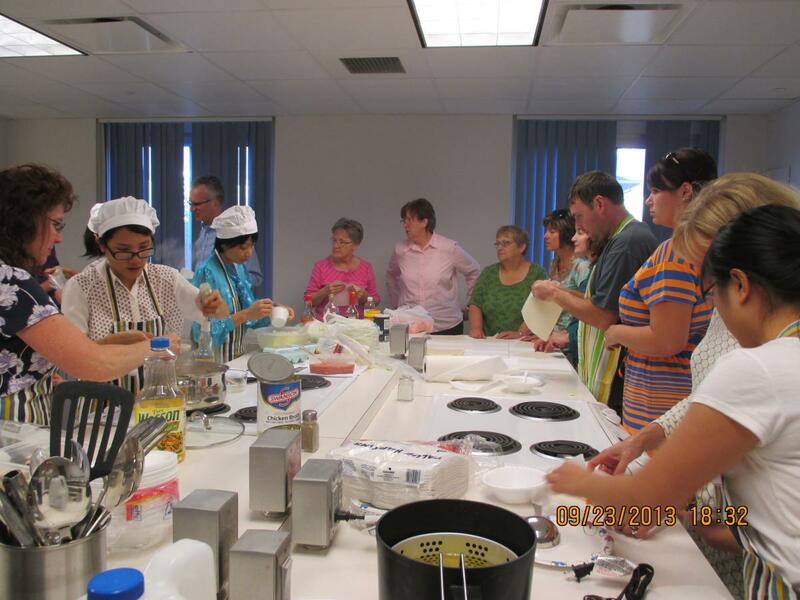 The participants were eager to try their skills learned from the class. 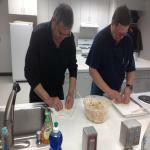 April cooking class will be on Monday, the 22nd. Stay tuned for more details! The Chinese Bridge Summer Camp application for students ages 14-18 is now available! The application deadline has been postponed to Friday, March 8. 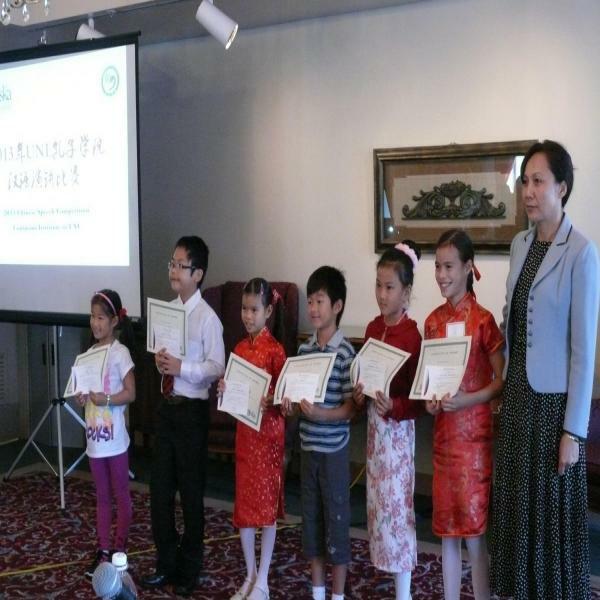 Please go to http://confuciusinstitute.unl.edu/chinese-bridge-summer-camp to download the application. For questions, email Huang Pingan at phuang2@unl.edu or Skylar Falter at skylarfalter@gmail.com. 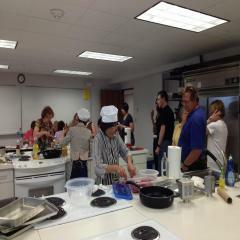 February Cooking Class hosted by UNL Confucius Institute is in session. The participants are eager to try their skills learned from the class. They are making egg rolls. Here are some pictures from that class. 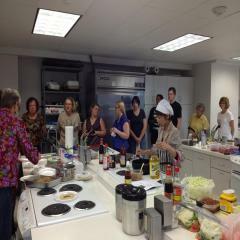 Stay tuned for our next cooking class coming on Monday, March 25! Confucius Institute teachers will hold class #4 on February 25 at Leverton Hall on East Campus. 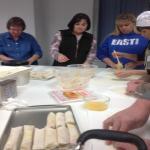 Featured dishes for this class are egg rolls and hot and sour soup. Learn how to make these popular appetizers and impress your friends and family at your next gathering! Download a flyer here. 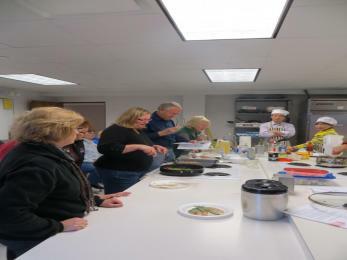 Join us for the third class in the Chinese Cooking Class Series: Stir Fry Dishes. It will be held January 23, 2013, from 5:45 -- 7:00 pm in Room 206 in Leverton Hall on UNL East Campus. 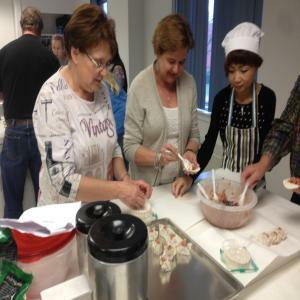 Students will learn to prepare Jing Jiang Pork and Egg Fried Rice. The $30 registration fee is nonrefundable and covers course materials, handouts, tasting food, and drinks. It must be paid in advance of the class and can be delivered to the Confucius Institute office at W205 Nebraska Hall or mailed to UNL-CI, PO Box 880542, Lincoln NE 68588-0542. Download the flyer here. Contact Angela Rystrom at arystrom2@unl.edu or 402-472-5370 to register.